Earlier this week, we got the scoop that Deadpool didn’t exactly reveal all of the film’s secrets while playing for press in screenings this past week. While critics were allowed to watch one of the blockbuster’s post-credits scenes, another was being kept hidden for the actual release of the movie. Well, now it has arrived, having just come back from a screening, we can tell you that it confirms incredibly huge and important news for Deadpool 2. SPOILER WARNING: The following contains spoilers for Deadpool. While none of the information will ruin the film itself, it will take some surprise away when the credits stop rolling. If you don’t wish to know any more information, please click away to another one of our wonderful articles. Those of you who have been following along with Deadpool news over the last few months will hardly find this news surprising. Cable and Deadpool have not only been regularly linked throughout their comic book history, but director Tim Miller, star Ryan Reynolds have spoken regularly about their desire to include Cable in an upcoming movie. Only now, however, do we know that it is officially becoming a reality. For those unfamiliar with Marvel Comics, Cable is the mutant name of Nathan Summers - who happens to be the son of Cyclops and the clone of Jean Grey (named Madelyne Pryor). As a baby (sporting telepathic and telekinetic abilities), he was infected with a deadly techno-organic virus, and knowing that there was no cure on Earth, a decision was made to send young Nathan into the distant future where he could be cared for. It’s one of the more complex backstories in comics history, and it will be very interesting to see how they end up handling it within what we expect will still be largely a Deadpool-centric movie. Deadpool and Cable actually first met in the Merc With The Mouth’s first appearance – hired by the villainous Tolliver to assassinate Cable. 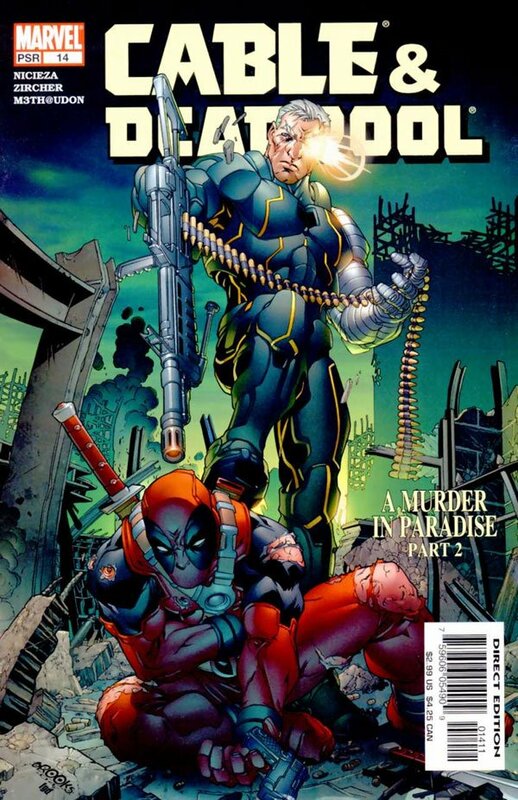 Following many interactions after that, they two characters were eventually featured in their own series together – Cable & Deadpool – written by the team of Fabian Nicieza and Reilly Brown. Beginning in 2004, it ran for 50 issues before getting cancelled, making way for a brand new Deadpool solo series. Most recently, the two of them have been featured together in the new miniseries Deadpool & Cable: Split Second, which just recently released its second issue. How do you feel about Cable being a part of Deadpool 2? How do you want to see the character introduced? Who do you want to see play him? Hit the comments section below with your thoughts!